Scout24 AG, a leading operator of digital marketplaces specializing in the real estate and automotive sectors in Germany and other selected European countries signed an agreement yesterday evening to acquire all shares of FFG FINANZCHECK Finanzportale GmbH ("FINANZCHECK.de"), a German online comparison portal for consumer loans. Scout24 agreed to acquire FINANZCHECK.de from Acton Capital Partners, btov Partners, Highland Europe, HarbourVest Partners, TA Ventures and FINANZCHECK.de's Founder and CEO, and others (collectively the "Selling Shareholders"). Closing is subject to anti-trust approval and is expected within four to six weeks. 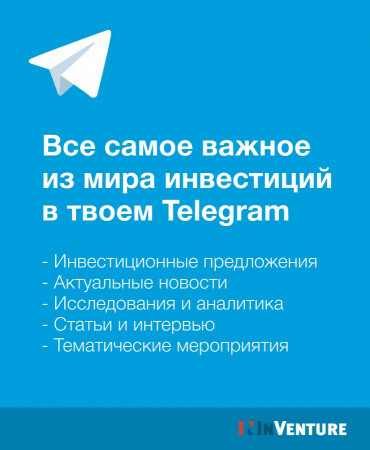 The transaction is based on a consideration of EUR 285 million, on a cash-free and debt-free basis. The purchase price is paid fully in cash. FINANZCHECK.de operates an online consumer finance platform, providing consumers with real-time and efficient comparison of consumer loans - in addition, the company cooperates with affiliate websites, point-of-sale finance and partner networks in Germany through its proprietary consumer financing technology platform. In terms of market share and market positioning for online comparison of consumer loans, FINANZCHECK.de is a top 3 portal in Germany. Using an easy-to-use online query, credit offers and loan-related products from all important providers on the market can be compared within a few minutes. For enquiries on instalment, car and rescheduling loans, loan advisors are also available upon request in addition to online enquiries - seven days a week and free of charge. Through this highly strategic acquisition, Scout24 teams up with a leading player in delivering great user experience and helping users to save time and money in finding the right consumer loan for them. It further provides banks and finance institutions with a cost efficient and scalable way to offer their services to loan seekers. 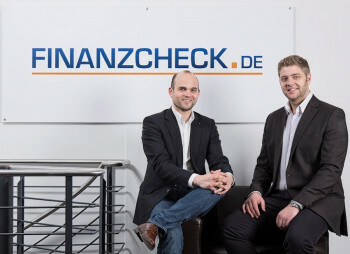 FINANZCHECK.de has built its successful business on a proprietary technology platform with machine learning capabilities and API-connections ("application programming interface") to the most relevant finance providers in Germany. The online market for consumer loans is a strongly growing market, that benefits both from a healthy underlying development of the > EUR 80 billion newly issued consumer loans in Germany, as well as from an ongoing shift of consumer loan purchasing from offline channels to online. Between 2015 and 2022, the market share of consumer loans generated through online comparison platforms is expected to double. FINANZCHECK.de has a proven track record of strong growth with a compounded annual growth rate of around 35% over the past three years, resulting in more than EUR 35 million in revenues in financial year ending December 2017. 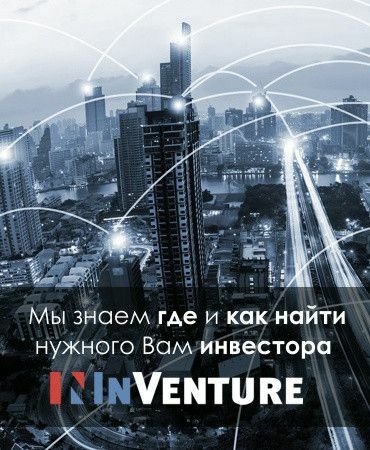 From Q1 2015 to Q1 2018, the company more than tripled the quarterly number of newly registered customers going through the loan application process, and more than doubled the number of loan transactions, making up for a brokered volume of more than EUR 3.5 billion since the company's inception in 2012. In addition, FINANZCHECK.de has a comprehensive market coverage in terms of relevant consumer finance providers, with more than 20 financial institutions connected via API to its technology platform. The acquisition of FINANZCHECK.de is an important strategic step to support users along their consumer journey and to deliver on Scout24's purpose to "Inspire your best decisions", being perfectly complemented by FINANZCHECK.de's mantra of "enabling for money". The acquisition builds on the already well-established and successful working commercial partnership between the two companies to deliver consumer finance for car seekers on the AutoScout24 and FinanceScout24 platforms. Since its IPO in October 2015, Scout24 has already acquired and successfully integrated several other businesses such as AutoTrader B.V. in the Netherlands and Gebrauchtwagen.at in Austria, strategic fits that also added to the Company's market-leading position. In this respect, FINANZCHECK.de with its strong and well-established brand perfectly complements the existing business and adds significantly to the reach and scope of the Company's market network - which in turn will also benefit the future development of FINANZCHECK.de. "The acquisition of FINANZCHECK.de represents another big step into further digitising the consumer journey within the Scout24 market network. It's a highly complementary business for us and we are confident this strategic step will boost top-line growth to hit the EUR 250 million mark in the mid-term for the Consumer Services business. Next to operational synergies and revenue contribution, we are gaining deep consumer understanding up to the point of the transaction. Understanding consumer lifecycles and when a consumer will start his next journey of seeking a new car or home again is a highly valuable proprietary insight that will help us to strategically align our offerings by building bridges to future consumer touchpoints," Gregory Ellis, CEO of Scout24 AG, emphasising the high strategic value and leverage of the transaction as it helps to close the gaps within the Group's coverage of the consumer journey along the real estate and automotive value chains. "We are happy to have Scout24 on board as our new parent company. This new union builds on an already very good working relationship on the back of our long-running affiliate-partnership. I am confident we will both profit from this new partnership and that it will further bolster our already strong growth path in the German fintech industry," said Moritz Thiele, CEO and founder of FINANZCHECK.de. "We aim to empower consumers in the decision of taking out a loan to finance their purchase. 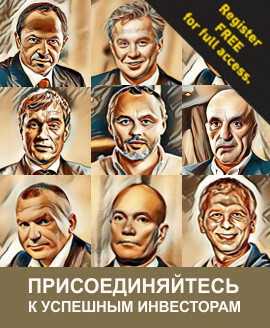 For example, at the moment, there is no integrated solution from search to transaction completion for buying a car online. By joining forces with AutoScout24, we are able to trace another step along the consumer journey within one single market network and offer transparent and relevant solutions for users on one of Germany's biggest car digital market places," said Andreas Kupke, Managing Director & COO FINANZCHECK.de. "Investing in future growth and further capturing the full potential of our market network were key pillars of the strategy we have communicated to the capital markets. FINANZCHECK.de is a strong brand in the German market for consumer finance and we believe that this acquisition fits perfectly with our overall strategy. We would like to welcome Moritz, Andreas and the highly talented FINANZCHECK.de team to their new home. Together, we see significant operational synergies which will help us target additional revenue potential along the extended real estate and automotive value chains. For example, in the near term we can already profit from an existing distribution channel for the business to business product for dealers, helping them intermediate car financing to consumers in order to facilitate the transaction," said Christian Gisy, CFO of Scout24 AG. The Scout24 Management sees significant opportunities to enhance the growth of the Consumer Services vertical through the addition of FINANZCHECK.de. This will mainly be driven by providing a more integrated service on the Scout24 platforms, thereby prolonging and enhancing the market network's role in the consumer journey. Scout24 Management expects to realize synergies on both the automotive and the real estate side. Initial focus will be on expanding FINANZCHECK.de's presence on the AutoScout24 platform and meeting more users' needs in the car buying process. Car loans are an essential part of the car buying process, with around 40% of second hand cars being partly or fully financed. In the future, Scout24 Management plans to roll-out the integration also to the AutoScout24 platforms in the core European countries. Next to strengthening the AutoScout24 platform with an integrated car financing experience, Scout24 Management sees additional synergies and revenue potential by leveraging its existing close relationships with the roughly 26,000 AutoScout24 dealer partners in Germany. AutoScout24 will be able to offer the FINANZCHECK.de's business-to-business solution "finanzcheckPRO", helping car dealers to provide potential car buyers with loan options and realize the desired car purchase. The Scout24 Group is financing the acquisition through a credit facility. Scout24 was advised by McKinsey & Company, Inc., BDO AG Wirtschaftsprüfungsgesellschaft, Willkie Farr & Gallagher LLP, and by Credit Suisse (Deutschland) AG throughout the transaction. Macquarie Capital (Europe) Limited acted as Sole Financial Advisor, Leo Schmidt-Hollburg Witte & Frank as Legal Advisor, to FINANZCHECK.de and the Selling Shareholders. Transaction advisory services were also provided by Ernst & Young GmbH and EY Parthenon GmbH. With our leading digital marketplaces ImmobilienScout24 and AutoScout24 in Germany and across Europe we are inspiring people to make their best decisions on finding a home and a car. Additional services, such as credit information, the brokerage of relocation services or construction and car financing, are bundled in the Scout24 Consumer Services business division. More than 1,200 employees are working on the success of our products and services, putting the consumers' needs first in order to create a connected network for living and mobility. Scout24 is listed on the Frankfurt Stock Exchange (ISIN: DE000A12DM80, G24). FINANZCHECK.de, based in Hamburg, is one of Germany's leading independent, tech-enabled consumer financing platforms that connects consumers with product providers across any channel. The average consumer benefits from significant interest cost savings and higher chances of getting financing, while product providers benefit from significantly lower customer acquisition costs. FINANZCHECK.de is focused on becoming the no.1 consumer liquidity solution provider through its plug-and-play infrastructure, using direct interfaces deeply integrated into finance providers' IT infrastructure to compare >70 consumer loan products. Its end-to-end platform incorporates best-in-class technology and customer service to cover the full life cycle from customer acquisition to loan approval and beyond.